The CEO Council is seeking an experienced full-time Administrative Assistant. The job description is posted below. Qualified individuals should send resumes to personnel@peoriabusiness.org. The CEO Council is a 501 (c) 3 not for profit Foundation and is a member driven organization. 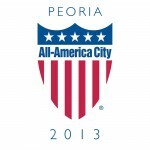 The CEO Council works closely with the Peoria Area Chamber of Commerce and the two organizations share services through the Greater Peoria Business Alliance. All duties and responsibilities will be performed in accordance with the strategic plans, goals and objectives of the CEO Council (CEOC) and the Greater Peoria Business Alliance (GPBA) and within the general nature of business as outlined by respective governing boards. The position requires the individual to have strong positive skills in communication, be highly organized, be task oriented, manage time effectively, have current computer skills, have supervisory capabilities, be a team player and have a desire to succeed. Responsible for writing and publishing timely CEOC / GPBA board minutes. Prepares all materials for committee and board meetings. Assists CEO COUNCIL Executive Director with scheduling appointments, calendar management and event attendance as required. Assist the President & CEO, GPBA as needed with calendar management and scheduling. Assists in detail project management with lead staff. Identifies and implements cost saving office management strategies. Maintains a positive office workflow which encourages all staff performance. Acts as an Ambassador for the organization at all times. Provides staff support for Project Committees: Downtown/Warehouse Development, Education, and Scorecard, and other pojects as they are identified. Support with scheduling Board meetings for CEOC and GPBA and other staff support with Board meetings. Bachelor’s Degree is desired or 2-year Associates Degree in one of the following: Business, English, Communications, or Marketing or equivalent experience. Proactive in scheduling, setting appointments other areas of need.